BEAUTY Is Not Enough. Oh, What a Feeling! Driving is Believing. Find Your Own Road. All car company slogans, all quite naff. Skoda's is the rather inoffensive and unsexy 'Simply Clever' but you know what, its cars truly are. 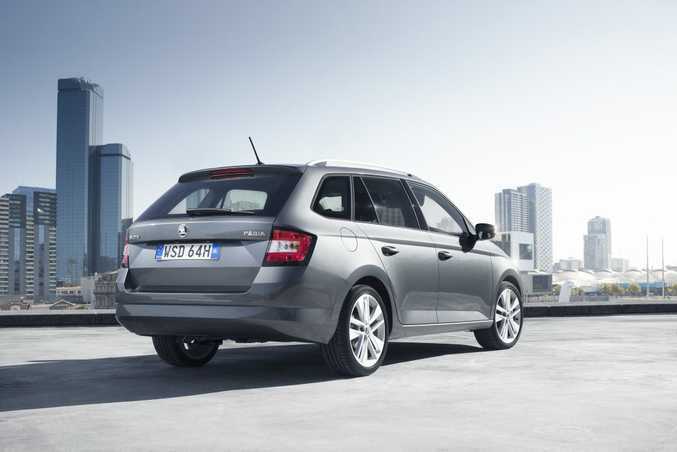 Take the new Fabia. Here's a light car on the Toyota Yaris/Mazda2 scale, yet they've managed to turn it into a wagon with cavernous boot space. Enough for the family? 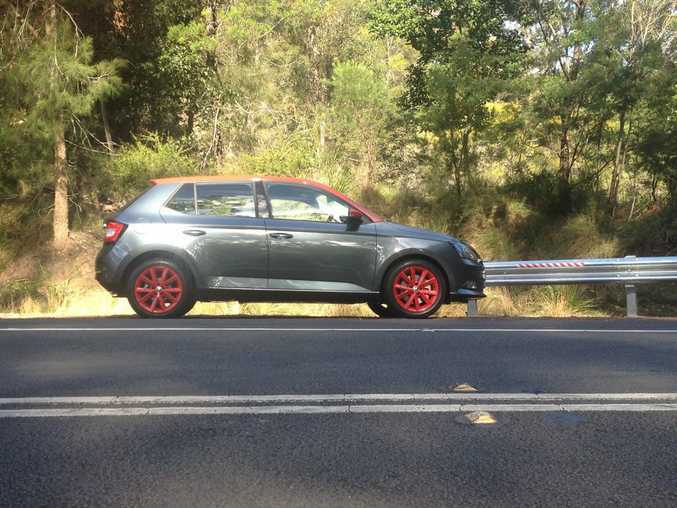 If you've bought a Mazda CX-5 medium SUV to carry kiddie gear, guess what, you get more litres in the big-bummed Fabia. Crazy but true. The all-new baby Skoda comes in hatchback form too, but with the wagon being prettier, just $1150 more and unique in this segment, it is the offering that can bolster Skoda's sales: already up 30% over last year's. Key to this is pricing, and Skoda is coming out swinging. 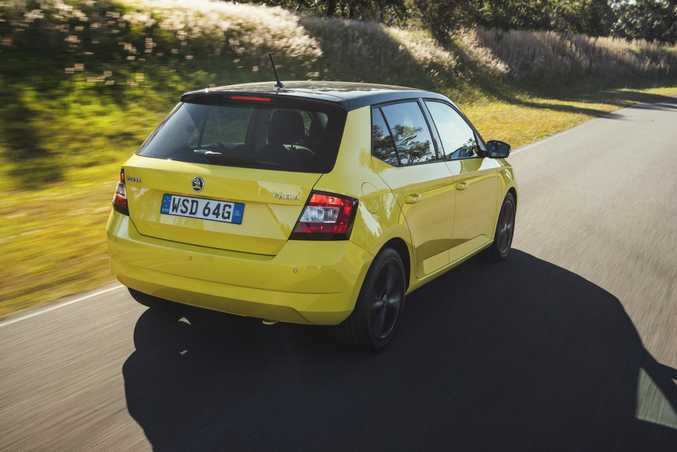 To not make the Fabia cheaper than close cousin VW Polo would be madness, so with the VeeDub already bargain basement, Skoda's offering the Fabia hatchback for $15,990 on the road until year's end. With a modest $350 extra for on-roads to go with an estate premium of $1150, that's $17,490 drive away for a wagon, and one that brings cutting edge tech and decent safety brags to entice younger families. BEST OPTION: Wagon variant is a $1150 premium over the hatchback and brings arguably more style, but certainly more practicality. It all feels rather VW in the cabin - no bad thing - with decent layout, simple controls and supportive seats. Hard plastics do abound but relief comes with a leather multi-function steering wheel and a decent resolution 6.5-inch touchscreen. There's full smartphone integration to pique the interest of the tech-savvy market. 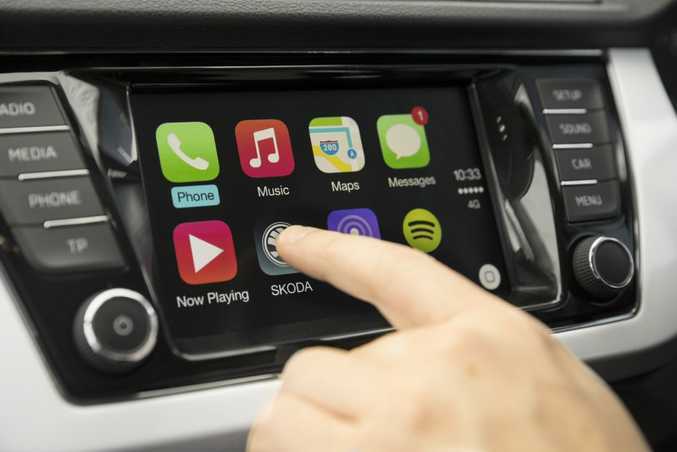 Called SmartLink - integrating Apple CarPlay and Android Auto software - you pair you phone via cable and apps are mirrored on the screen. Your screen basically becomes your smartphone, so you swipe your way through music, contacts or navigation, while text messages can be sent using voice commands. It's brilliant. There are two engine choices: the 66TSI and 81TSI. Both are turbo 1.2-litre four-pots with 66kW and 81kW respectively, the former coming with five-speed manual and the latter a seven-speed DSG auto. The 66kW doesn't lose much performance to the 81kW, with reasonable zip thanks to a good chunk of torque from low revs. The 66TSI proved more rewarding on the open road too, the silky manual 'box combining with light but communicative steering and decent balance to bring some real fun. Auto fans are asked to spend over $4000 to get into the 81TSI (you can't option the DSG on the 66TSI). You get more kit, but it's not worth the money for the minor power gain, and while a smart thing, the auto doesn't add to the enjoyment. Ride quality and balance didn't change between wagon and hatch - each absorbing bumps impressively - although road noise in the cabin did remind that the Fabia is still a small car. All cars get SmartLink with 6.5-inch screen, plus a surround sound system with quality near unmatched in any car this size. Another win is safety. Fabia was awarded best in class in European testing, due in part to Front Assist and City Brake which emergency stops the car automatically. BIG PACKAGE: Fabia Wagon option gives a mighty 505-litres of boot space: more than a Mazda CX-5 medium SUV and the same as a Mazda6 Wagon. The 66TSI benefits most by adding an optional Travel Pack, bringing 16-inch alloys, cruise control and LED running lights for $1300, while another $300 gives a funky Colour Concept option (hatch only) where you can contrast the body colour against the roof and wheels. 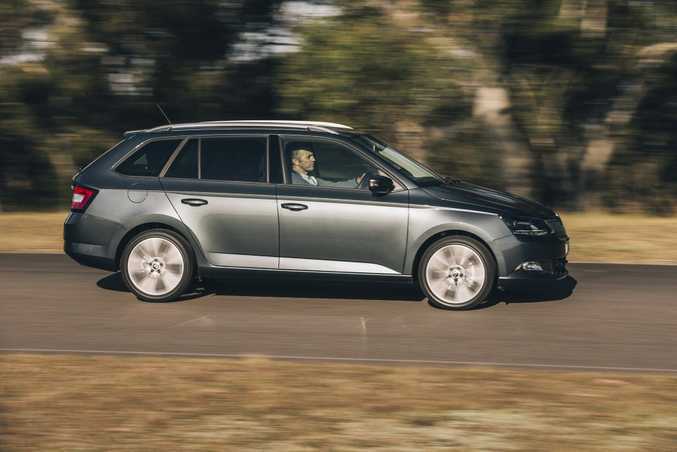 The 81TSI gets 15-inch alloys and cruise as standard, but two optional Sports Packs add another few grand, quickly making a top optioned Fabia look expensive, and despite the sporty claims there are still no steering wheel paddle shifters for the auto. Some may grumble a reversing camera isn't standard - or even optional - but the Fabia's rear park sensors with optical parking display does the job just fine in my eyes. Same with sat nav. It's a $950 option, but why bother when you can mirror your phone's free navigation app? Fabia's trump card? No wagon alternative in this cheapie segment. 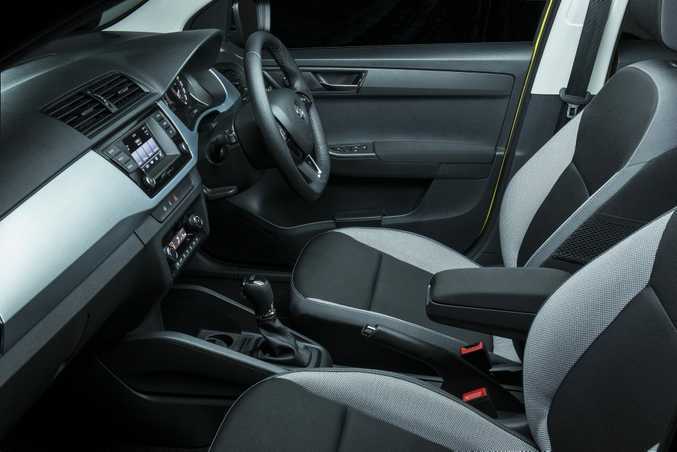 The hatch has a fight though with players including Ford Fiesta ($15,825), Honda Jazz ($14,990), Hyundai i20 ($16,590), Mazda2 ($14,990), Renault Clio ($16,790), Suzuki Swift ($15,990), Toyota Yaris ($14,990) and VW Polo ($16,490). No matter the engine, transmission or body, 4.8-litres/100km is the quoted economy. Our varied drive route returned under 6-litres on average in both 66TSI and 81TSI so fuel bills will be low, despite the Fabia drinking costlier 95 octane. Pesky Euros. The Colour Concept adds some jazz to the hatch. Yellow on black works great, so it's a shame the wagon variant can't benefit. The new Fabia looks sleeker and a tad wider than before, its front end attractive but the rear is, much like Skoda's Octavia, just a bit too Plain Jane. YOUNG AT HEART: Our test Fabia hatch featured Skoda's Colour Concept, bringing contrasting roof and wheel colours to the body's. With 305-litres of boot space in the hatch and a mighty 505-litres for the wagon (1370-litres seats down) there's surprising space. Smart cabin storage compartments and an array of holders, hooks and nets in the boot are, well, simply clever. Back seat headroom is particularly great in the wagon, but rear leg space is cramped, reminding you it's a light car. It's not for three adults across the back, but three kids or a couple of child seats are fine. 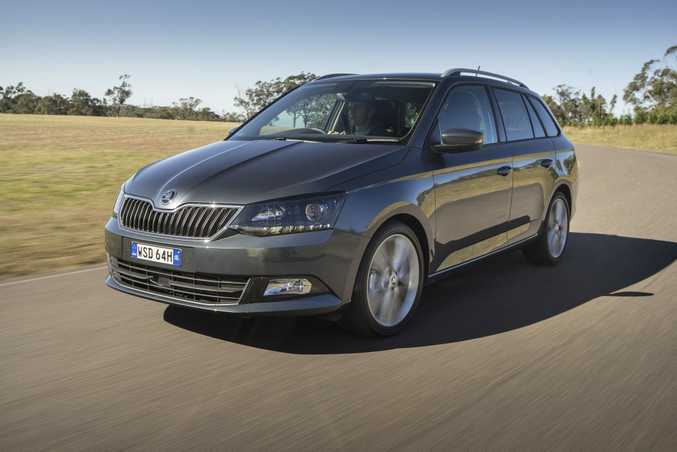 Skoda has some excellent hardware in its current range, and the new Fabia could really help the brand surge forward. 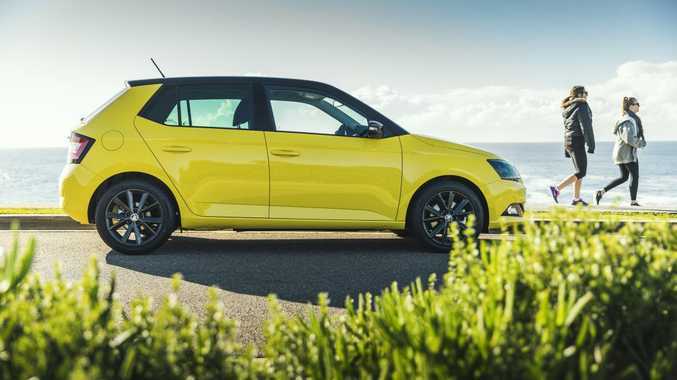 Attractive, well-equipped, full of smart features and with an infotainment level to leave more expensive rivals blushing, the Fabia is a decent pick in the face of tough competition. As a city car the bargain $15,990 hatch is a steal, but at just $1150 more the unique-to-this-segment wagon is a phenomenon. CZECH ME OUT: Frugal Fabia returns 4.8-litres/100km with either 66kW or 81kW engine. It's not a quick car, but low down torque makes it zippy around town. What we liked: Sharp pricing for the 66TSI, hatch's custom colours, wagon's great space, brilliant standard infotainment. What we'd like to see: A choice of manual and auto for both cars, fewer hard plastics inside, rear seats that fold fully flat as standard. Warranty and servicing: Three years/unlimited km warranty with capped price servicing. Skoda Care Pack extended warranty is available. Details: Five-door front-wheel-drive sub-compact hatchback or wagon. Engine: 1.2-litre four-cylinder turbo petrols generating 66kW @ 4400rpm and 160 Nm @ 1400rpm (66TSI) or 81kW @ 4600rpm and 175Nm @ 1400rpm (81TSI). Transmission: 5-speed manual (66TSI) and 7-speed DSG auto (81TSI). CO2: 109g/km (66TSI) and 111g/km (81TSI). Bottom line (driveaway): $15,990 (66TSI manual), $20,290 (81TSI DSG auto) until the end of 2015, wagon adds $1150 plus an extra $350 for on-roads until the end of 2015. WHY WOULDN'T YOU? Wagon starts from $17,140 drive away, just $1150 more than the $15,990 hatchback. Ideal time to buy a new car?